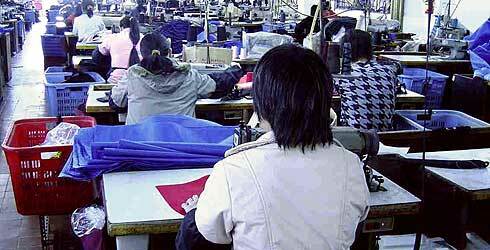 Cut & Sew - CMS World Group, Inc.
CMS WorldGroup has various plants dedicated exclusively to cut and sew activities. Over 3, 000 sewers are employed to produce garments for our customers. From hand cutting to state of the art computerized cutters, from the simplest garments to the most detailed, all are possible with CMS. Caps, gear bags, polo shirts, pants, dresses, skirts, jackets, shorts, socks, training suits, school uniforms, industrial clothing, hospital gowns, sports uniforms, swimwear, towels, bedding, sporting goods, and many more are produced daily by CMS. Learn more about our Textiles and Apparel, Gear Bags and Hunting and Camping products.